There are a variety of reasons people pick up running. Whether it is for recreation, competitive purposes or getting back into shape, running is a simple activity that you can do anywhere and at anytime. There also is no age discrimination when it comes to this sport. You can be 3 or 85 years old, if you are up for the challenge, those legs can take you anywhere. If you get a chance to read my Running Story in the About page you can see I have been running for years. No, I did not start when I was 3 like my boys, but I did run with my family in my tween years. I recall some fond memories running on the beach with my father. 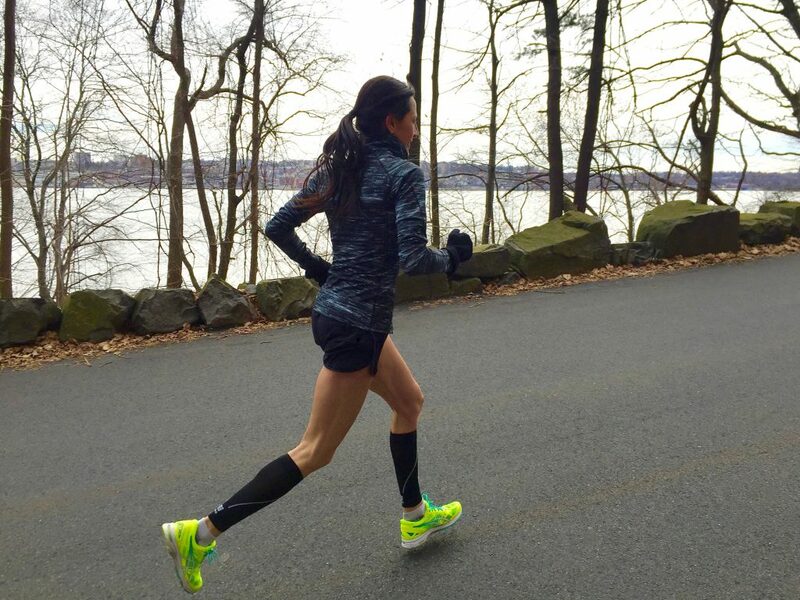 The nostalgic moments remain with me and I draw energy from them in the calmness of some of my runs. You see, running wasn’t something I did to stay in shape, although it really is the best way to stay fit. Running takes me to another place… someplace I have yet to find elsewhere. I not only run for leisure, I also have been competing intermittently since I was 14 years old. With that experience and being trained by some great coaches, I have learned a lot and I am fortunate to be able to run competitively today. A few steps have kept me mostly injury-free. For those of you who are just getting started here are some helpful guidelines that have worked wonders. 1. 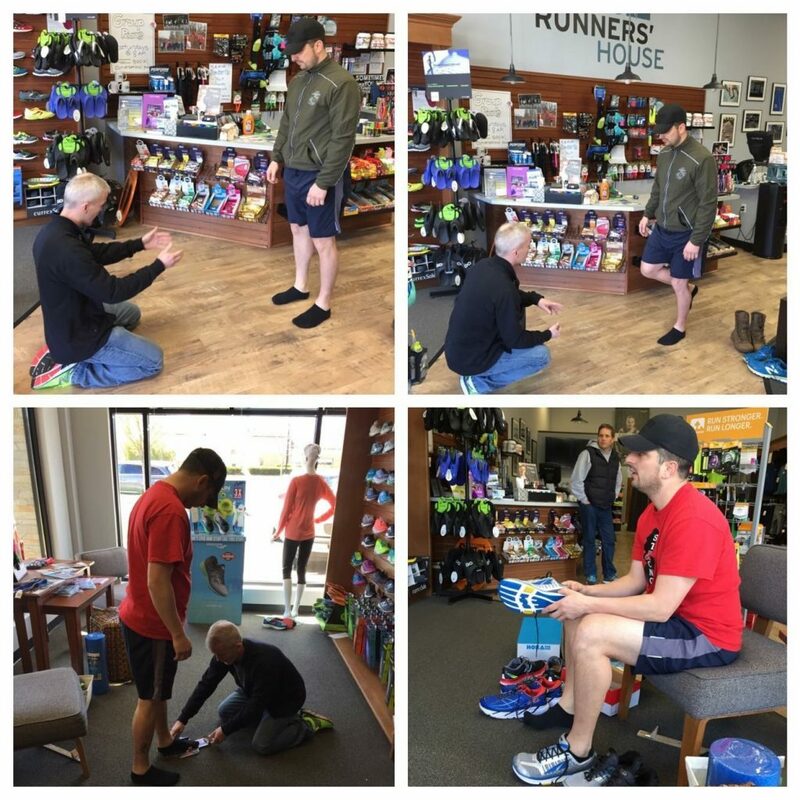 SNEAKERS – Find a running store, like The Runners’ House, and get your feet assessed for the proper sneaker. There are a variety of brands with different qualities like weight, support (neutral or stability) and offset. Finding the right shoe that works well with what you are intending to do will make your running experience much more enjoyable. 2. START OUT SLOW – For best results start out a few miles a day a few times a week. 2 to 4 runs per week for about 20 to 30 minutes per run will be a great starting point. You will then establish how many miles you can run in that time frame and work from there. 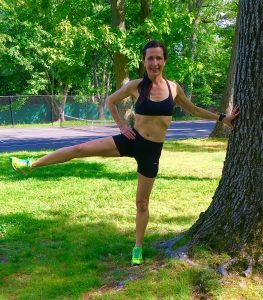 See how you feel after a couple of weeks and then gradually increase your mileage 10 percent each week until you find a total mileage per week that works for you. To avoid injury, it is best to take it slow allowing your body to adjust to this activity. 3. STRETCHING – Before a run, Dynamic Stretching is important because it prepares the muscles for the activity at hand. This type of stretch allows the muscles to get close to the range of motion limit but without over extending like with a static stretch. Below is a list of a few examples. Walking Lunge – Step forward and drop your back knee toward the ground. Make sure your front knee is slightly over your ankle. Next take a long step forward with the opposite leg doing the same motion. Continue this 10 times on each leg. Leg Swing – Hold onto something for stability and swing one leg from side to side. Switch and do the other leg. Do this for about 10 times on each leg. Hip Circle – Stand straight and rotate your leg up and to the side in a clockwise motion. Do the same thing with the other leg in the opposite direction. Do this for about 10 times on each leg. Monster Walk – Walk forward while lifting your leg straight in front with your opposite arm extending about 10 times on each leg. Power Skip – Explosive exaggerated skip emphasizing height rather than distance. Purpose – to prepare your body for a full speed activity. After a run, Static Stretching is necessary so the tight muscles can be lengthened; preventing muscle imbalance and future injury. It is also important for flexibility. Unfortunately, the older we get the less limber we become. Below are a few examples. Calf Stretch – Stand tall with you hands straight in front of you against the wall. Extend one leg back leaving the other leg bent forward. Hold for 20 – 30 seconds and then switch and do the same for the other leg for 2 – 3 reps. Single Leg Standing Stretch – Hold onto a secure surface with one hand and bend your other leg. Grab the bent leg with the hand on that side and hold it behind you for 20 – 30 seconds. Then switch and do the same for the other leg for 2 – 4 reps.
Groin Stretch – Sit tall and put the soles of your feet together. Gently pull them closer to your body. Hold for 20 – 30 seconds for 2 – 4 reps .
Hamstrings Stretch – Sit on the ground with one leg straight and the other leg bent in toward your thigh. Stretch your body over your straight leg and try to touch your toes. Hold this for 20 – 30 seconds and repeat on the other side and do the same for 2 – 4 reps.
Iliotibial Band Stretch – Sitting tall with legs stretched out in front of you. Bend the left knee and place the left foot on the ground to the right side of the right knee. Turn your shoulders so that you are facing left. Hold for 20 – 30 seconds and switch direction to the right side and do the same for 2 – 4 reps. Most importantly listen to your body. It will tell you if you are overdoing it. 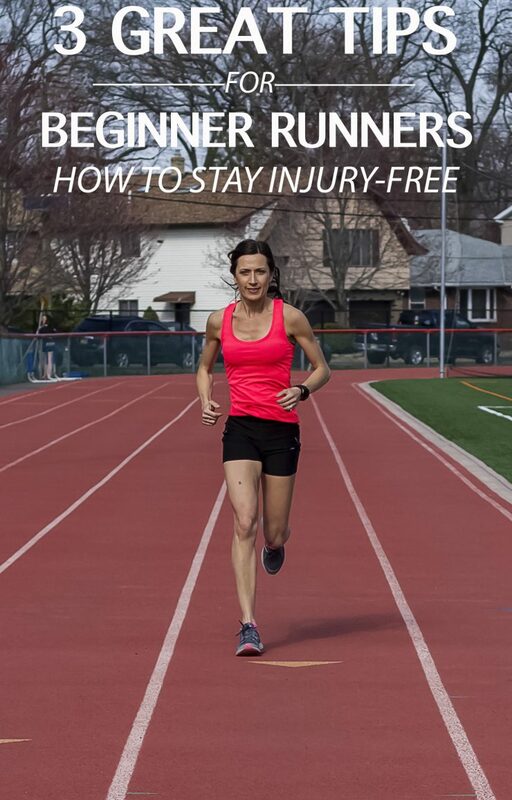 Running can be very enjoyable and injury-free if you take the proper precautions. By finding the fun in the run you will reap the multiple benefits. Have you ever been injured from running? What kind of sneakers do you wear? thanks for these tips. 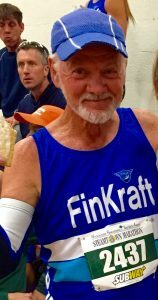 I’m 56 years old and looking to live better. I run/ walk for like 15 minutes. Is that a good start? That sounds great!! The key is to slowly work up to 30 minutes and most important listen to your body. You look great!? You have 4 kids!!? Is running the secret? I use the cross trainer at the gym. Thank you so much. The 4 kids keep me in shape too…lol. It’s great that you are exercising. That is what is important! Thanks for the stretching tips Gabby. 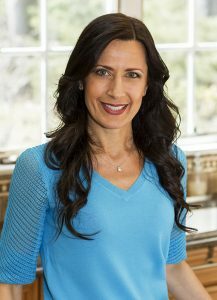 I am contemplating running outdoors again (been running on treadmills) but want to expose Gianna to getting outdoors before school and running with me. Thanks for the inspiration! That sounds like a great idea! Incorporating exercise at a young age really makes a difference as a child reaches adulthood. You will leave an impact on her life that will last forever! Just like my Dad did for me! This is great especially the stretches. I always wondered about whether this or static was better. I use to run and stopped but would love to get back since my husband enjoys it too. Love your blog! Thank you so much! 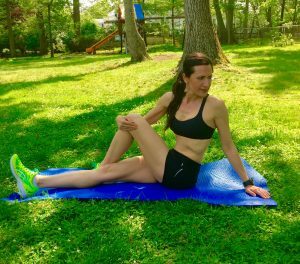 Doing these type of stretches will definitely help prevent injury when you get back into running. I found running to be the most well rounded exercise. You are working every muscle! To have a running partner will make a big difference as well. You can motivate each other on those days you need a little push. Good luck! 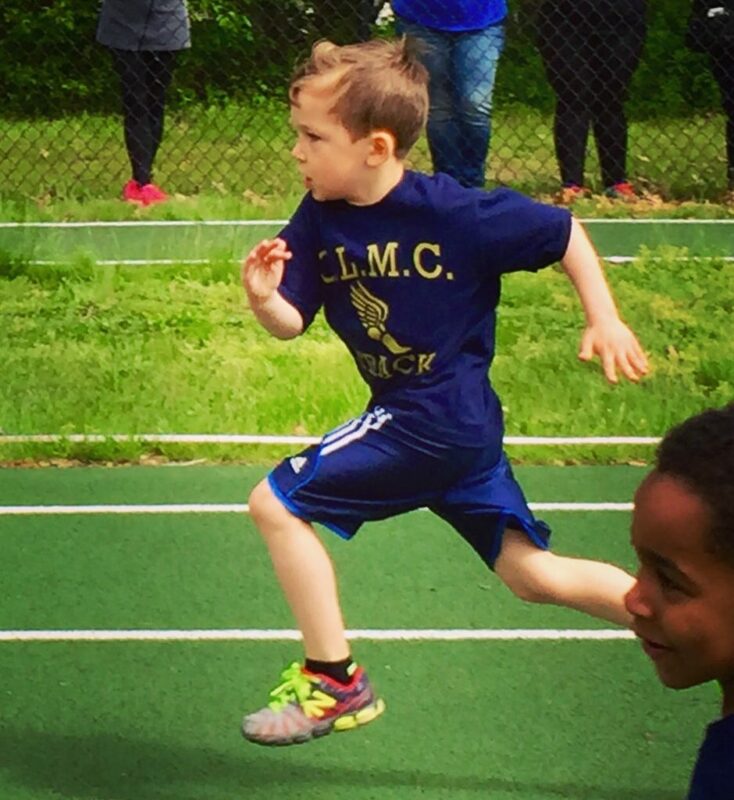 How do I get my kids to start running!? Any advice? My husband and I run and sometimes we bring our kids. Depending how old they are the track is a great place! This is awesome. I am new to running and just ran a 5k yesterday and got crazy shin pain mid run. Any suggestions? Shin splints are a common occurrence in runners and are caused by inflammation to the muscles and tendons or soft tissue along the shin bone. The increase of intensity and frequency of running workouts, or by a dramatic change in your routine may aggravate the area. Running on a softer surface like a trail or track may help. Also get fitted for a proper sneaker and make sure your sneaker is not worn out. Good luck!